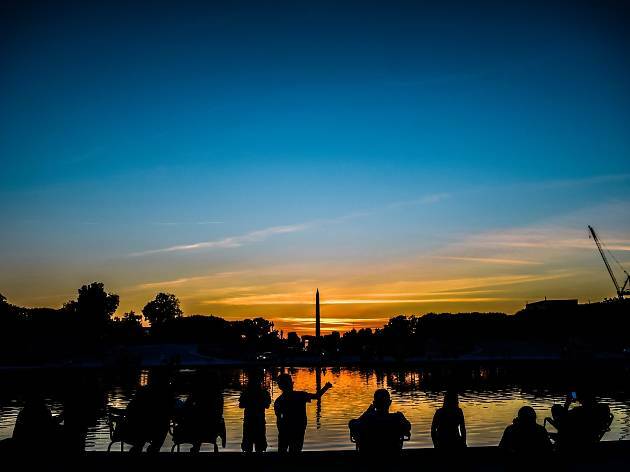 The city has a plethora of hangouts for night-owls, but why not spend an evening (without spending a penny) in one of these stellar parks? 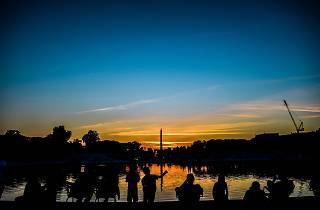 Many are open 24/7 during the summer months, so you can stroll, sip and soak up that summer air from dusk until dawn. What’s the vibe? 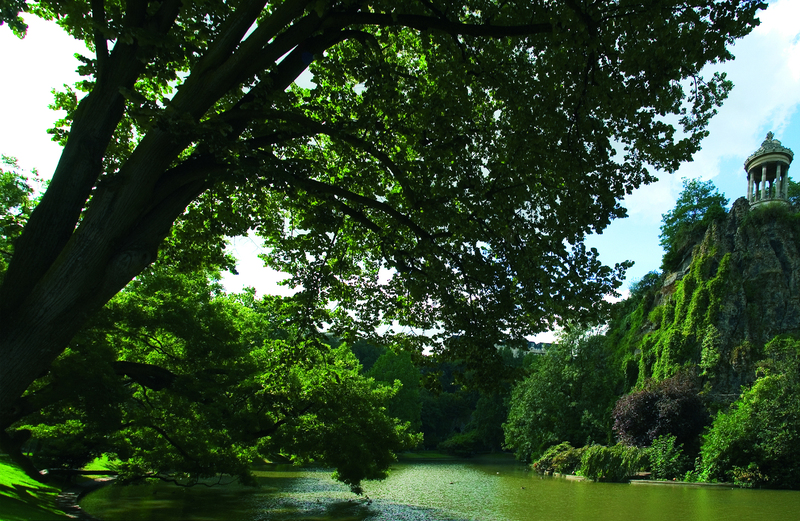 A definite unsung hero, Parc Montsouris is actually one of the largest green spaces in Paris. 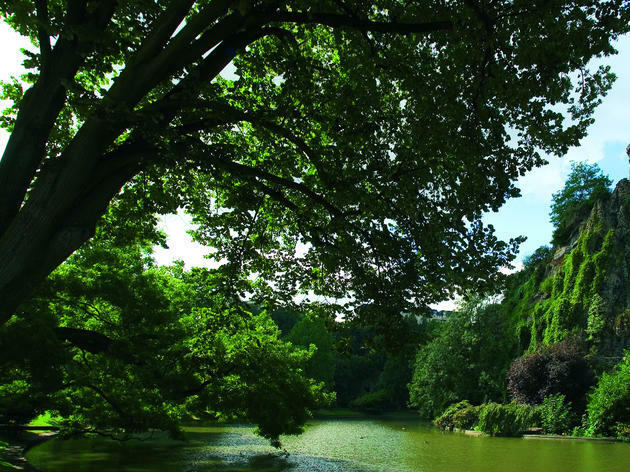 Based on an English landscape garden, it was laid out for Baron Haussman by Jean-Charles Adolphe Alphand and includes a range of sweeping lawns, an artificial lake and endless flora and fauna. Take a picnic, lounge by the waterside and revel in such blissful quiet. What’s the vibe? Think you know Paris? Expect to have all your images of the city blown out of the water by this stunning former lime quarry. 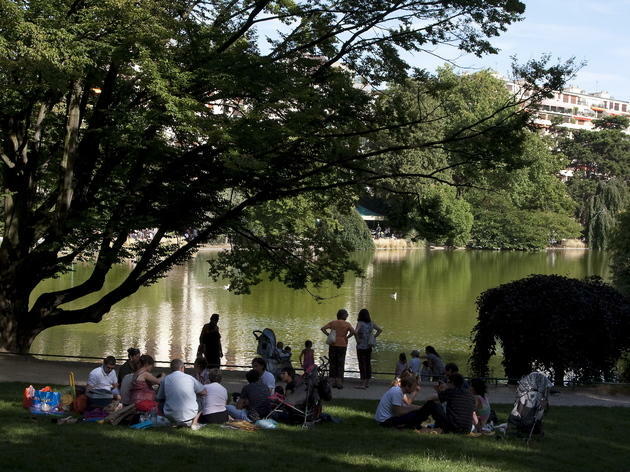 Set high up in Belleville and often missed by weekenders keen not to stray too far from the tourist loop, Buttes-Chaumont has a distince Central Park vibe. Photos certainly don't do it justice, so you'll have to see it to believe it. 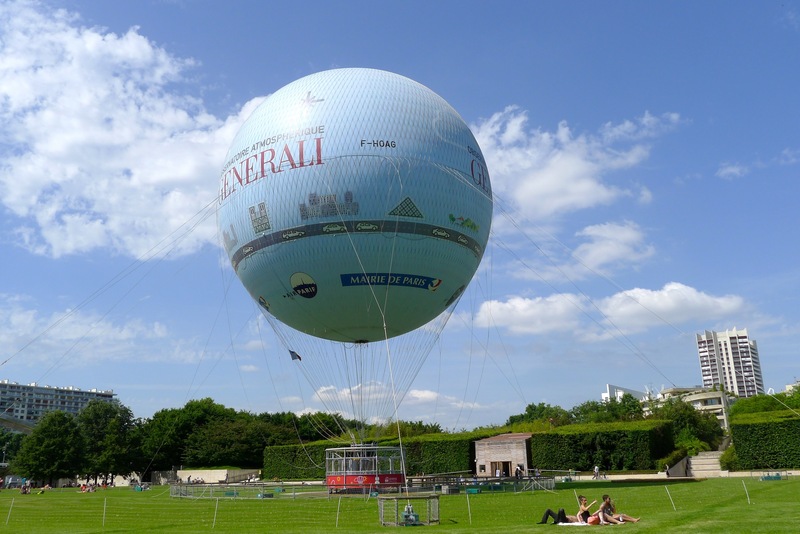 Bring decent walking shoes (the inclines are steep), lounge on the grass and then head for the wonderfully jolly Rosa Bonheur or the hip Pavillon Puebla for a drink or two. What’s the vibe? 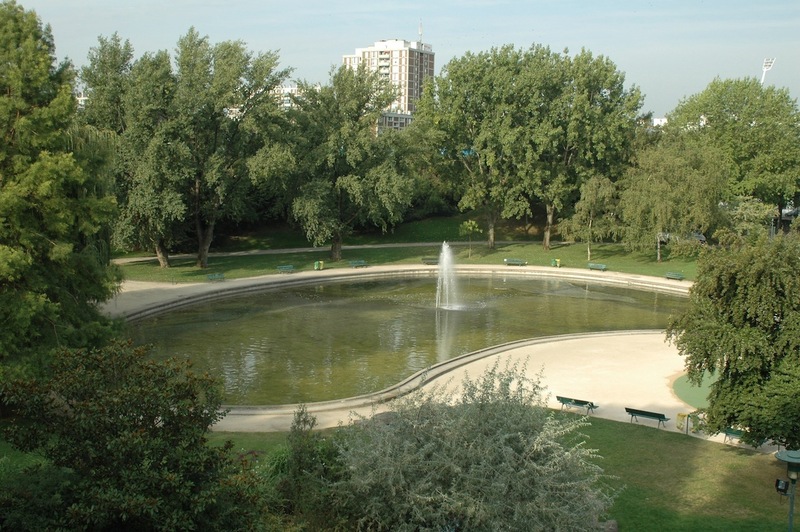 Designed in the late 1930s, this five hectare park has two completely different faces - one is heaven for sports fans, featuring fitness circuits, football pitches, tennis courts and outdoor gym equipment, while the other side has a cascade-style fountain, ponds, lawns made for picnicking and wildlife of all kinds. Spot fish in the lake and look out for the spectacular bas-relief thirties sculptures. What’s the vibe? 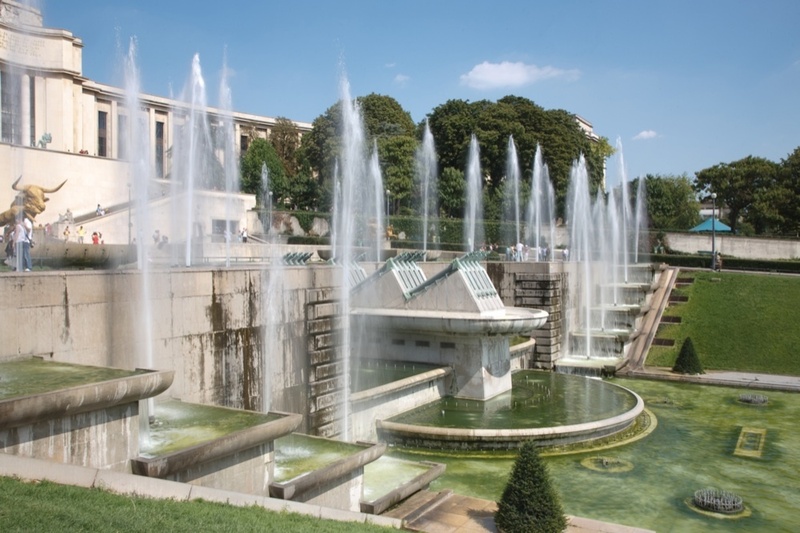 As parks go, the Palais Chaillot's gardens are pretty eye-popping. 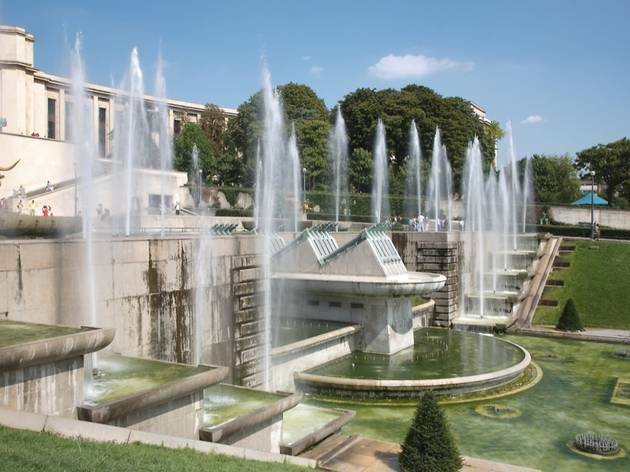 With a colossal fountain (designed to spurt 8240m3 of water an hour), art deco statues and a panoramic esplanade between the building’s two wings, you can't miss it. Our advice? Go with a picnic and wine as night falls and watch the Eiffel Tower go all glittery (every hour, on the hour). It's enough to make even the most blasé Parisian say ooh la la ! What’s the vibe? Stretching along the banks of the Seine, this sculpture garden runs from the Institut du Monde to the Jardin de Plantes. Spot works by Brancusi, César, Ipoustéguy, Rougemont, Zadkine, Schoffer, Stahly and many others without paying a penny. And the best thing? From May to September, couples gather in its alcoves to dance the tango. A true Parisian spectacle. What’s the vibe? 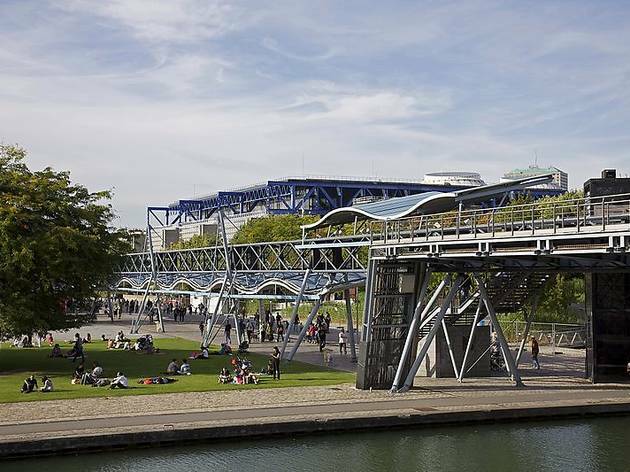 Postmodernism buffs will be on cloud nine in this sprawling park, designed by the swiss architect Bernard Tschumi. An open-air film festival is hosted here in the summer and there are ten themed gardens with names like the Garden of Mirrors, of Mists, of Acrobatics and of Childhood Frights. 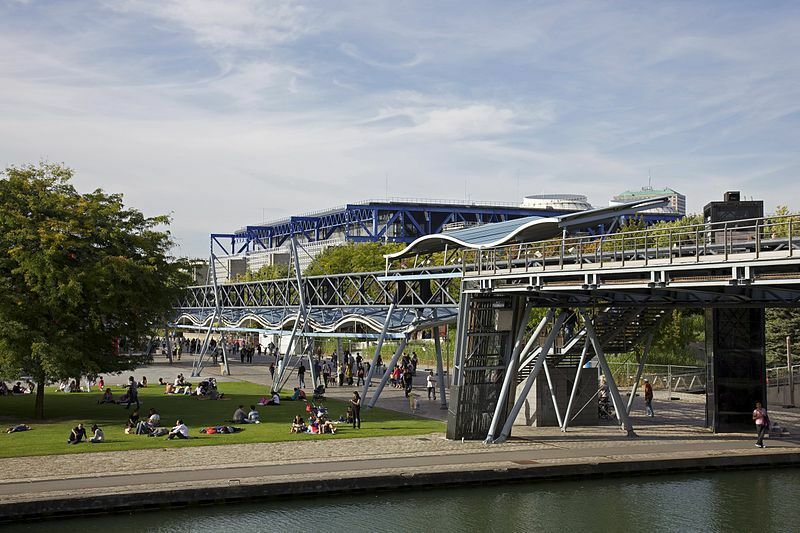 The Canal de l'Ourcq runs right through the centre of it and it is flanked by Le Zénith, and the Grande Halle de la Villette – now used for trade fairs, exhibitions and September's jazz festival. What’s the vibe? 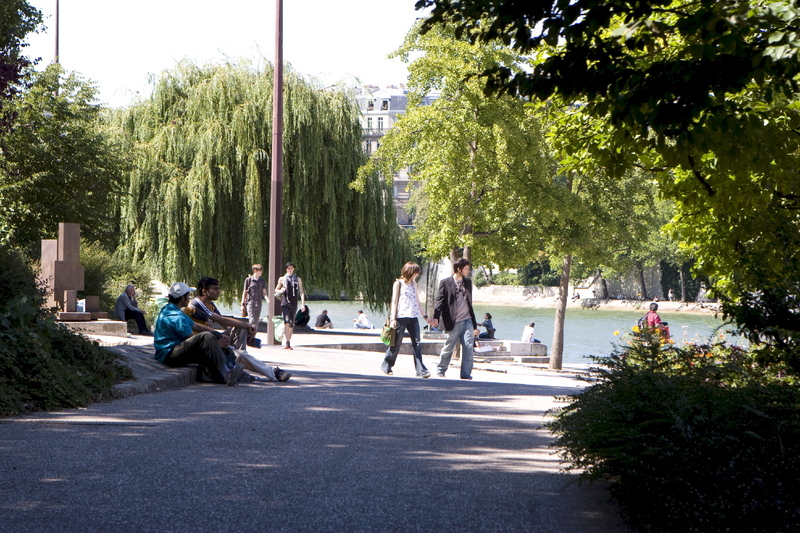 Hidden in (almost) plain sight, this is a little oasis of green on the western tip of the Île de la Cité. 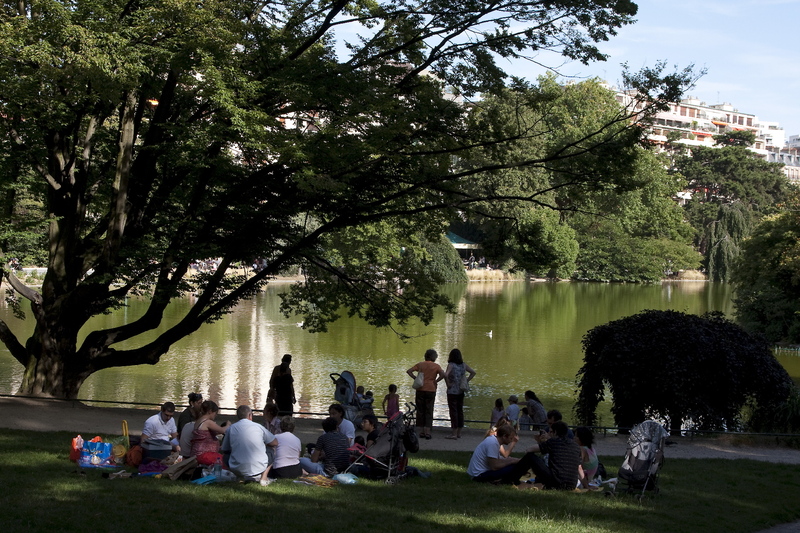 Erected in tribute to Henri IV and his numerous mistresses, it comes as no surprise that this is one of the most romantic Parisian spots for a stroll. Take a bottle of fizz and settle down on one of the benches as night falls. What’s the vibe? 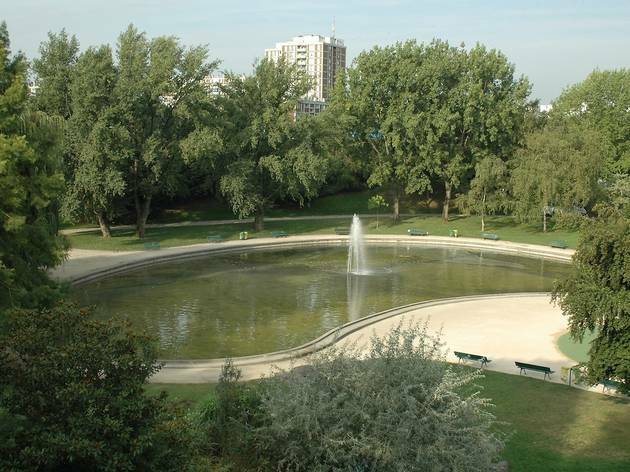 Open since April 2017, Parc Rives de Seine is part of a huge development by the Paris council - mirroring the park constructed on the left bank of the river. 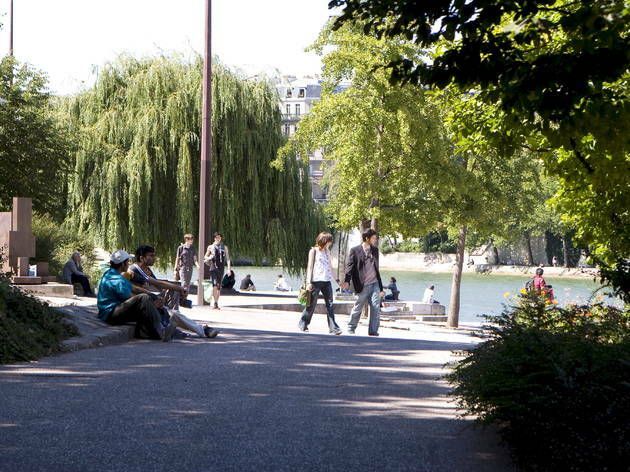 Get involved with a game of pétanque on one of the courts below the Louis-Philippe bridge, have a drink and play a board game on the terrace of the Scilicet café, travel back to the 17th century with virtual reality binoculars or even recharge your phone using one of the eco-cycles. This is a true triumph of town planning - bravo Paris. What’s the vibe? SNCF's former freight yards have been transformed into an eco-friendly wonderland: think solar panels, windmills, reconstituted materials and rainwater harvesting. There's also a skatepark, basketball courts and a children's play area. Perfect for a twilight wander, this beats New York's High Line at its own game. What’s the vibe? It might not be the most picturesque in Paris but there's plenty of space for roaming around in this postmodern park next to the Seine. Look out for the funky glasshouses, computerised fountains and waterfalls, as well as stepping stones and water jets for kids. 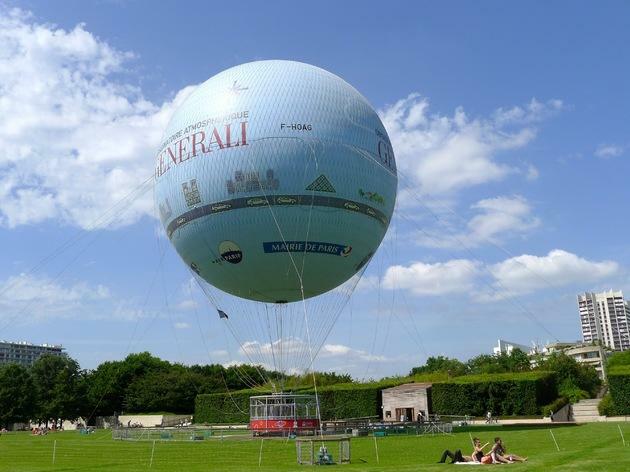 For a bird's eye view, take a ride in the helium balloon.